Products – POS – APT-74 – Team Research Inc. 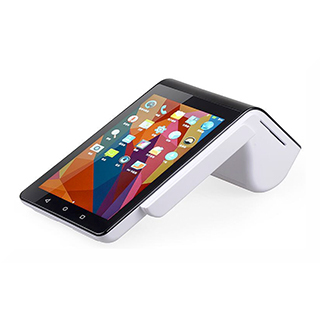 The TEAMSable APT-74 Android 5.1 Terminal is a 7” tabletop device with a built in 4” customer 2nd display that’s perfect for retail as well as the hospitality industry. It utilizes a Quad Core CPU, 1GB of RAM and 8GB of internal flash memory. The APT-74 comes standard with an 7” capacitive touch screen along with a 4” second display and other high end features such as a built in Smart card reader, high speed thermal printer, and onboard Bluetooth and WiFi radios just to name a few. Overall the APT-74 Android terminal is a cost effective POS solution for you and your business.